Discussion in 'Archived Classifieds' started by tomxlisa, Mar 7, 2013. Got around £100-£150 to spend on the right card and deal. Heard the 480 is quite loud?. Not that one he has. Was the quietest 480 released. 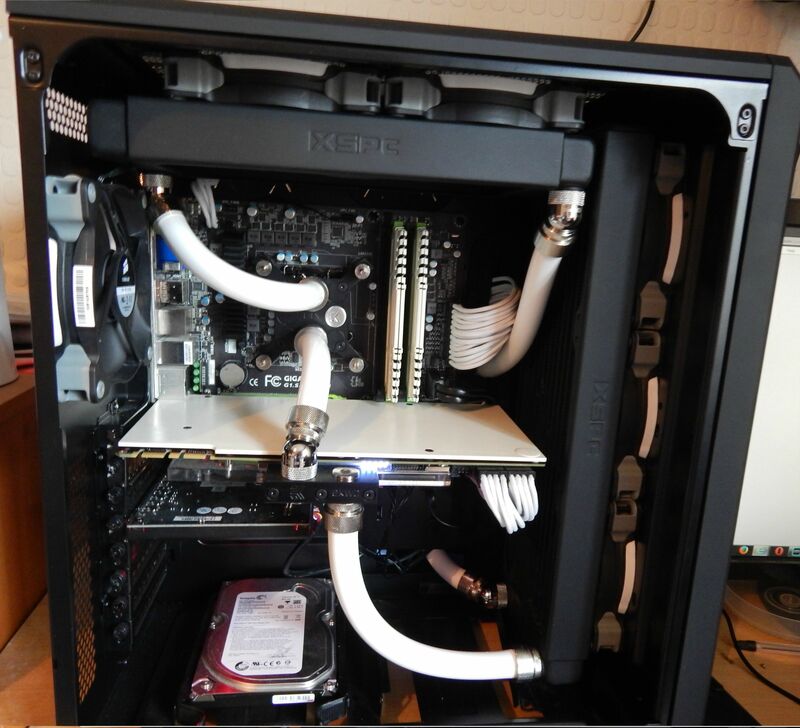 This one has a custom cooler Zalman VF3000. So quieter than stock. Best version out there. Missed out on this which was on here, how does the 480 compare to this card?. Gtx480 is faster by about 10%. Fallout can correct me on this one if needed be. Oh not bad, don't know much about cards really, just what people tell me and what i read online, just want a decent card so i can play some of the new games on it, recently built a new computer for myself except adding a graphics card, using the one built in on the CPU at the moment which is ok just not that great, lags quite bad on crysis on the fps. Would it play all the latest games out for PC now, also when i look at the graphics card out there and you see the number next to them, for example the GTX650, does that mean it is better than the GTX480 as it is a higher number?. Thanks for that, cant manage to see this card on there though, how does this one compare with the GTX 480 for sale?. Tomxlisa let me know because if you don't take the card I might do a swap with mraerosmith. Hmm quite confusing all this buying a graphics card lark isn't it, could see the 650 on there but not the 480 to compare it with, would you say the 480 is a more powerful card then?. This is vs 650ti which more powerful than a normal 650. Yeah i see that now, strange though isn't it as the GPU frequency and memory frequency are quicker than the 480?. Not related. Freq and memory has little to do. What does "Not related" mean, sorry i'm not that bright when it comes to graphics cards lol?. Oh right, so there is more to a graphics card than the frequency and memory so even though that is higher than the 480, the 480 still is a more powerful card?. Well different technologies, different gpu's, bigger doesn't mean better. Oh right okay, well thanks for all your info, i am guessing this 480 card of yours doesn't have the heat problems then and the noise issues, if not that is all good, and it will play the latest games right, if not i'd rather maybe spend another £100 or so on getting a card which is future proof?. Thanks for comment, will it play the latest games out now for PC though, or just older games that was once great?. Let me know what you decided mate. I have a 560 Ti for sale. Got an MSI 7850 1gb going spare.